Today I would like to introduce you to one of my March sponsors Melissa of Wean Green. Tell us a little about how Wean Green came to be. I like to call Wean Green my third baby. 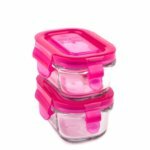 There are 7 years between my daughters and in that time the market became flooded with innovative baby food storage containers but all of them had the capabilities of leaching chemicals into my fresh, homemade, organic baby food. I was not satisfied that the industry didn’t understand that the last thing we needed was another plastic product for babies so I started Wean Green…. Being a mama, a business owner and a wife, among other titles I am sure, how do you find balance? In our house we create our own balance. I lean on my amazing community to help in all areas of my work and personal life. I have built great teams in both areas! I think that the search for balance can often consume people (especially mothers) but in the end all of our lives are going to be so different so we need to look at ‘balance’ as a personal goal we can set ourselves and re-evaluate as time goes on. I am hoping in 10 years it will be difficult for me to find balance between reading novels on the beach and snorkelling in the ocean. If you could share one bit of advice about starting up your own business what would it be? Use your networks and create new ones. The relationships and people I have met in the past few years are outstanding! It is amazing how talking to someone at a dinner party one night can turn into a new marketing campaign the next! What product in the Wean Green line up is your favourite right now? Thanks so much for taking the time to share a little bit about yourself with us. It was wonderful getting to know you a little better Melissa. And today I have a giveway from Wean Green. Melissa has generously offered up a sample pack of Wean Green products to one lucky Mothering with Mindfulness reader. To enter today's giveaway, leave a comment , one per person, below. Giveaway is open until Thursday April 5, 2012 at 7pm. I will draw a winner after this time and announce it in this post. Thanks so much Wean Green! "Great giveaway from a great company!! I have been dying to try some of the new products, we love love love our Wean Cubes!" These are so great! what a great idea. 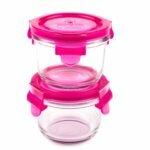 I love glass containers, and we use them for ourselves, so why not have little ones them for the babies too. Great product! I love the bright fun colours too. They look great. Love the idea of filling them with a serving of veggies to nibble on throughout the day. Such a great idea. 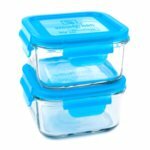 I love these little containers! A perfect way to snack on the go! They are so cute and colorful! I think my Picky Eaters & Problem Feeders in my therapy sessions would love them. I have been wanting to purchase them for my Feeding Clinic for quite sometime, but haven't followed through on it. Maybe we can WIN them!! Love the bright colours. Like this idea better than the ice cube trays. These would be so handy for my littlest snacker and big school kids too! Great giveaway from a great company!! I have been dying to try some of the new products, we love love love our Wean Cubes! Looking forward to using these after our baby is born! These would be so helpful! Thanks for the opportunity! 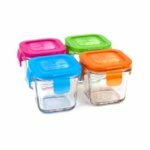 Glass containers fit for the whole family - what could be better? Winning them, of course! These would make a great Easter present! I'm getting ready to start making baby food for my 7 month old and I consider these on my "must have" list! Perfection!